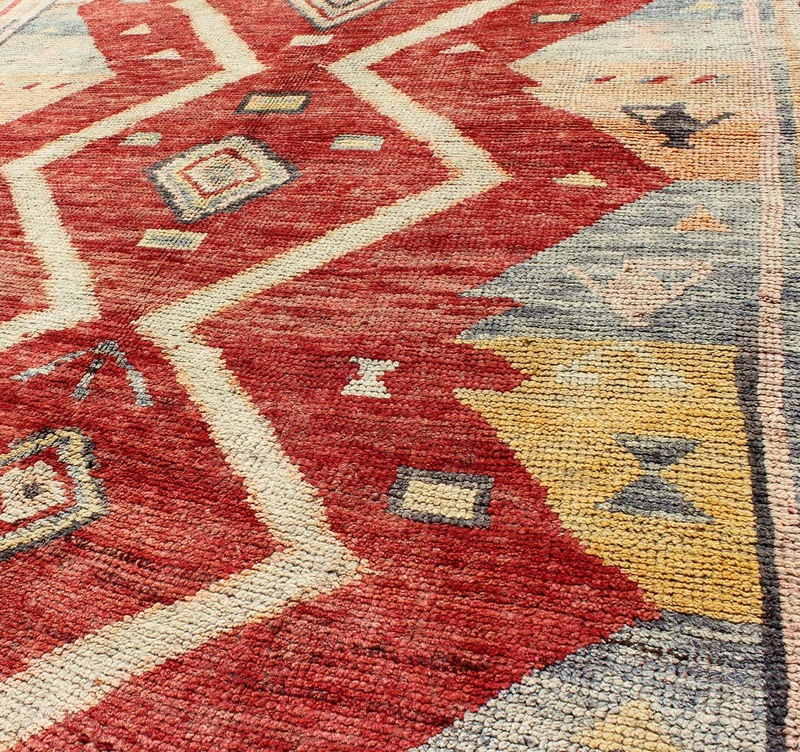 This Tulu carpet contains three diamond shapes laid across a red-colored field and enclosed within surrounding geometric elements. 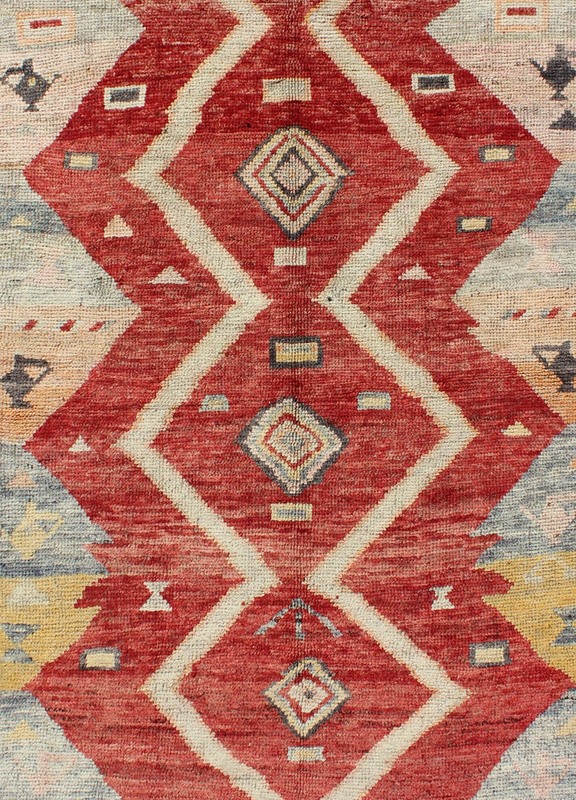 Accent colors include yellow, orange, white, red, and blue-gray. 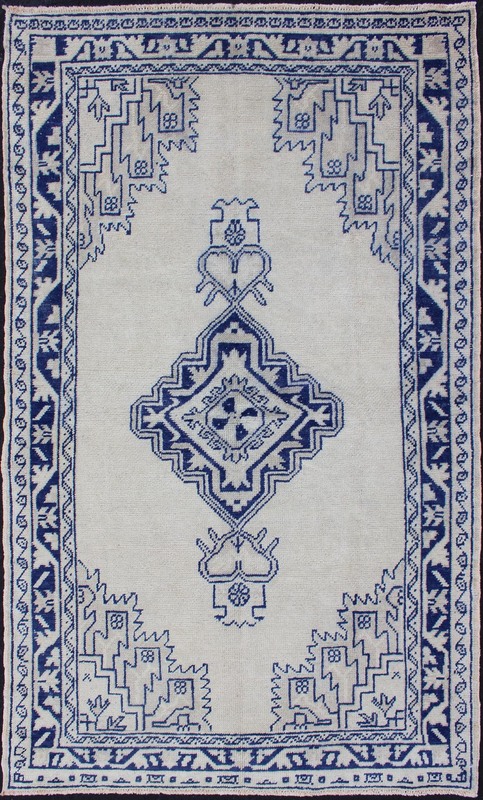 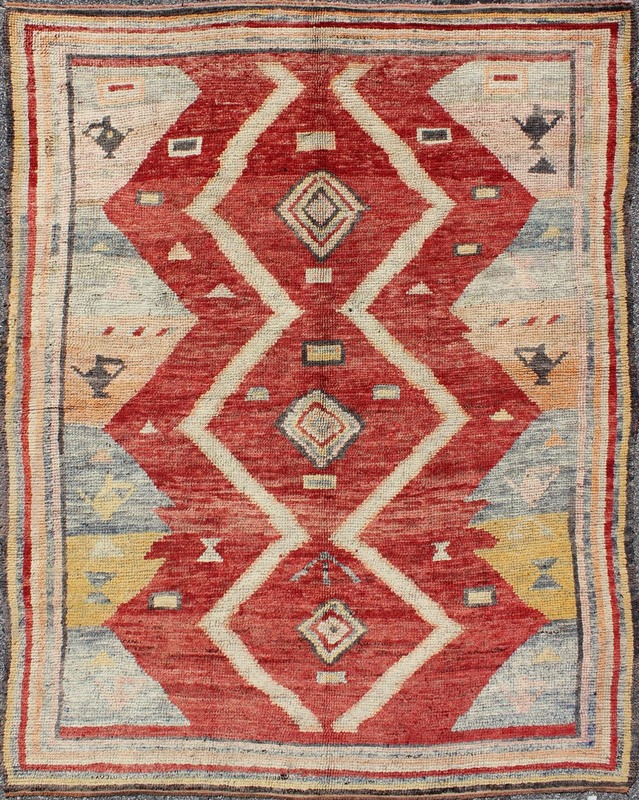 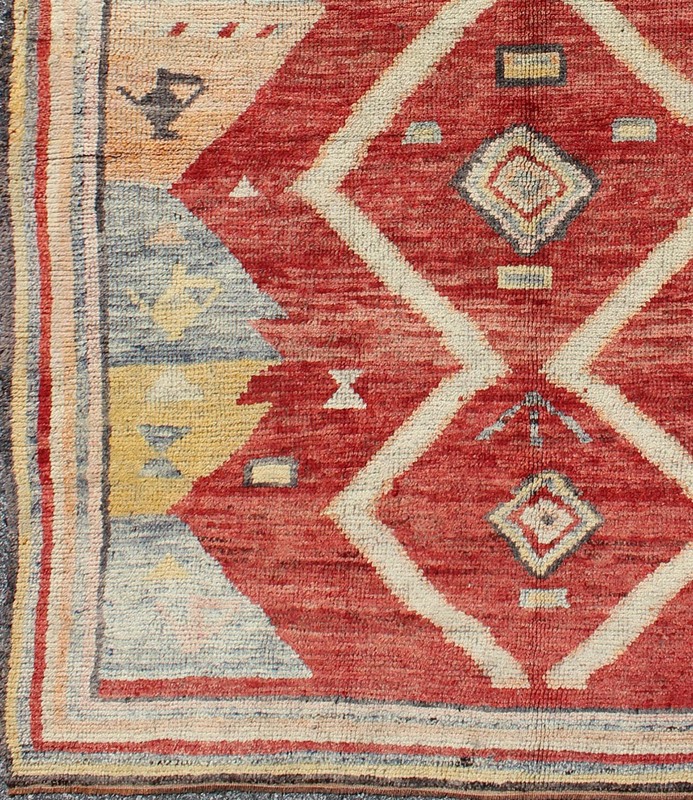 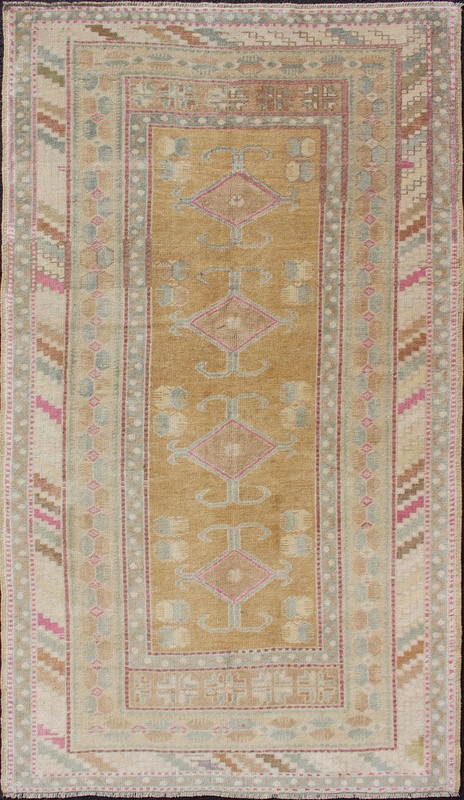 Tulus are woven in the Konya area with a very coarse weave and lower pile to accentuate the tribal pattern. 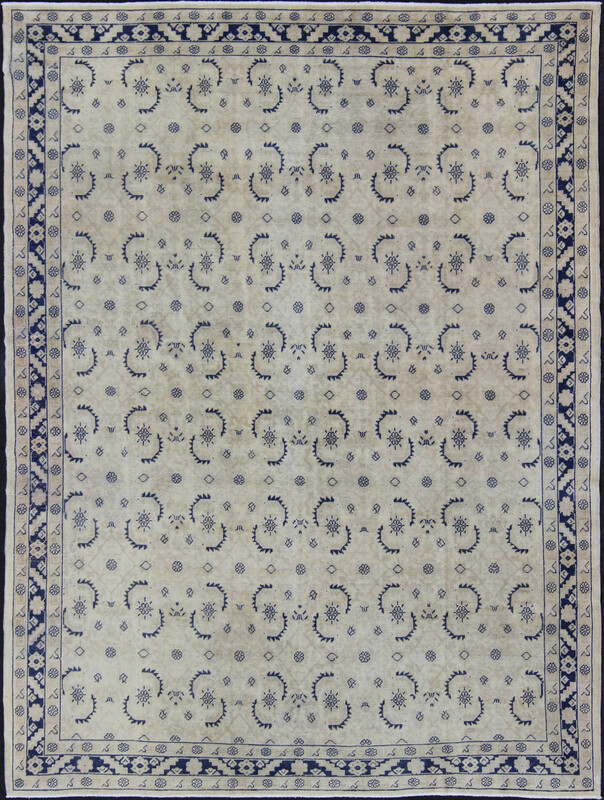 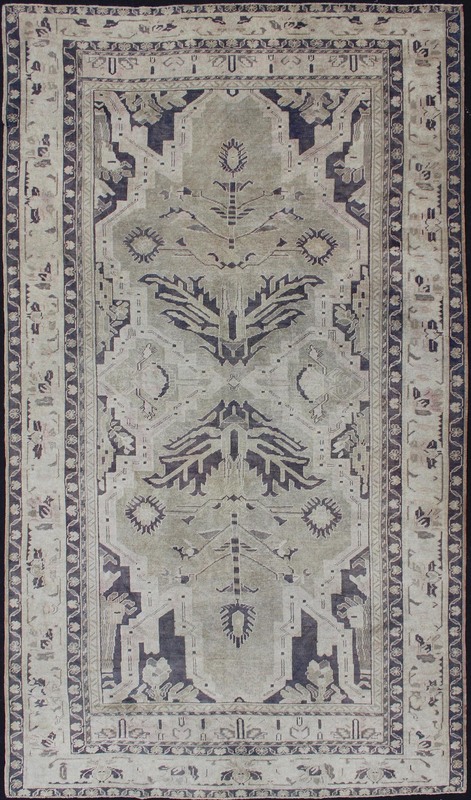 The wool used in these rugs is exceptionally durable, and with the combination of a bold medallion design, they are always visually polished.